So it gives me the greatest pleasure to share the works of one talented composer, who's year has included a handful of great scores. Of course we have covered them all throughout the year from many of our sponsors and music labels such as "MediaScore Media", "Varese Sarabande" and "La-La Land Records". 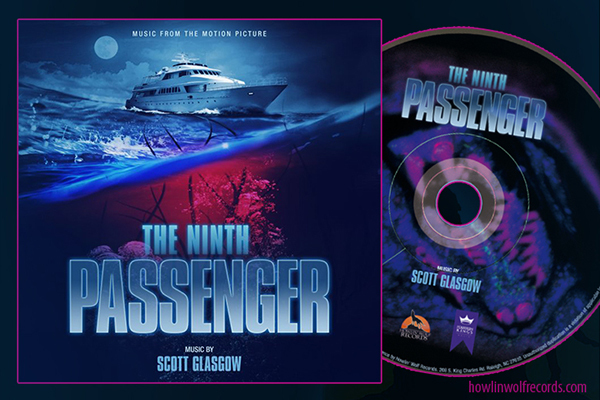 I wanted to thank Atli Orvarsson, Stefan and Monica for all their help getting this put together and all the labels like "MediaScore Media", "Varese Sarabande" and "La-La Land Records" for releasing such great music... it's always a pleasure! Jeremy [HWR: OLM]: How did you get started in the field of music and how did that lead you to composing? Atli Orvarsson: There was music all around me when I was growing up, my dad’s a professional accordion player, my mom sang in the church choir, brothers played in bands etc. so you could say that music is the family business! I started studying music when I was 5 years old and by the time I was in my early teens I started composing. There was quite a remarkable music scene in my small hometown of Akureyri (population 16000) in Northern Iceland so I was exposed to playing all kinds of music in all kinds of ensembles, a symphony orchestra, big band, rock band, pit orchestra in the local theatre and it’s that experience which I think led me to choosing film music later on because it’s so eclectic and obviously it’s the intersection of drama and music. 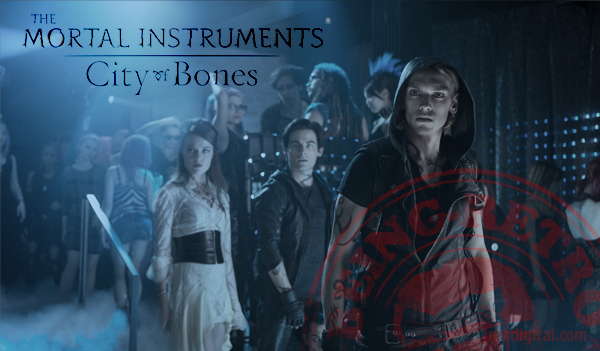 Jeremy [HWR: OLM]: Please tell us about your latest score release “Mortal Instruments: City of Bones” how do find your inspiration for projects, how did you become involved and how much musical freedom did you have? Atli Orvarsson: I was very inspired by the film the first time I saw it, so much so that I scribbled the main theme down on a piece of paper in the dark theatre! I have known the film’s director, Harald Zwart, for some time and I actually ran into him at the premiere for another film I scored, Hansel & Gretel: Witch Hunters where he basically offered me the gig! We had a wonderful collaboration on this film. He was very involved in the themes and all aspects of the scoring process but somehow managed to give me quite a bit of musical freedom at the same time. Jeremy [HWR: OLM]: If you work with other composers or music artists, whom do you work with and what is the best part of your contributions? Atli Orvarsson: I have a several regular collaborators, e.g. my sister Hilda Örvarsdóttir sings on just about every score I make! I have also worked with Hans Zimmer on a few of his scores and I feel like each time I work with him I learn something new. Jeremy [HWR: OLM]: Who inspires you musically and whom do you listen to [composers or music]? Atli Orvarsson: There are so many artist/bands/composers who inspire me. J.S. Bach was a major inspiration on this film but I could mention a few names like Pink Floyd, Maurice Ravel, Richard Wagner, Ennio Morricone and Radiohead. Jeremy [HWR: OLM]: Out of all your released work, which gives you the best feeling of accomplishment and why? 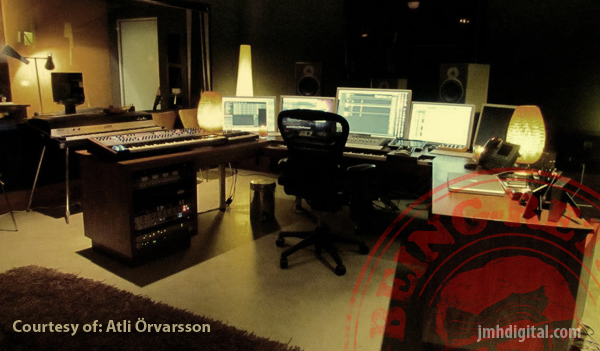 Atli Orvarsson: I think this score is definitely close to the top of my favorites because I feel that I got to really write very grand, unapologetically melodic music which I really enjoy! I also really enjoyed making the score for a film called "The Eagle" which came out a couple of years back but that process was completely different, much more collaborative and experimental. Jeremy [HWR: OLM]: Walk us throughout a typical day in the life of Atli Orvarsson the person and the composer? Atli Orvarsson: I usually get up early with my wife and kids, I often drive my son to work and I’m usually in the studio at around 9:30. Work until about 5-6 pm, go home for dinner and then back to the studio for a couple of hours. Although, when things get really busy I sometimes shift to a schedule where I get up at 5 am and start working before it gets bright outside. There’s something incredibly cool and productive about these wee hours! 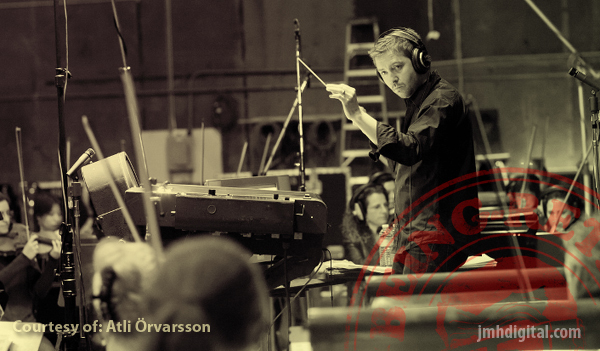 Bio: Atli Örvarsson, an Icelandic film score composer. Atli’s credits include composing and orchestrating music for some of Hollywood’s biggest projects, including the Pirates of the Caribbean series. He has contributed music to films from Angels and Demons to The Holiday. Atli's film scores include The Eagle, Vantage Point, Babylon A.D., the Morgan Freeman caper Thick as Thieves, The Fourth Kind, and the Nicolas Cage medieval fantasy Season of the Witch. Atli’s most recent credits include fantasy epic The Mortal Instruments: City of Bones, historical romance Colette the dark and edgy film Hansel and Gretel Witch Hunters, the drama/thriller A Single Shot starring Sam Rockwell, the hit NBC series Chicago Fire, and working with Hans Zimmer to contribute music to the Zack Snyder Superman re-installment Man of Steel.